Junior Showmanship is an essential part of dog showing. It assists children gain confidence and enter the ring competing against other children of similar age. Supporting the next generation in this way ensures a bright future for our wonderful sport. Debra Stubbings is a Junior Handler Judge and was a Junior Handler herself as a teenager, back in the 70’s. Erica Stubbings was awarded Champion Junior Handler at the 2008 Purina Sydney Royal Dog Show and has won many Junior Handler competitions in NSW, including the 2008 Spring Fair. 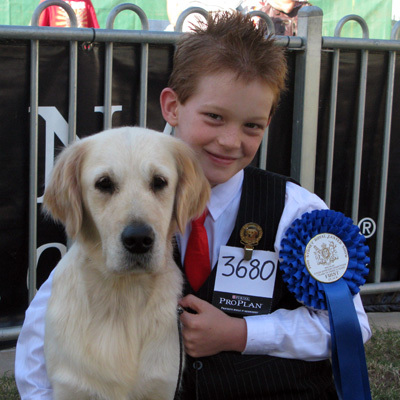 BlueBreeze regularly provide dogs for the current generation of Junior Handlers.